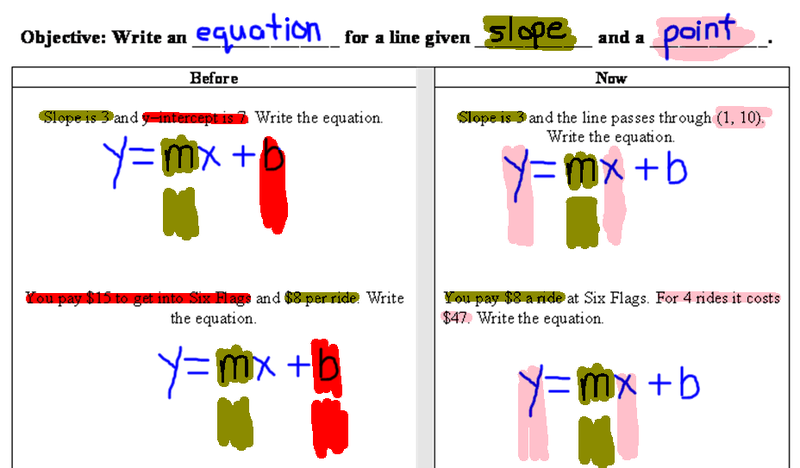 This allows for Multiple Means of Representation as found in the UDL Guidelines. List all the steps for the objective. Use this table (above) as a pretest to identify gaps. Provide instruction on the gaps. In the photo below I used color coding to show what to multiply and scaffolding to align the digits in ONES and TENS place. NOTE: I provide the problems with some steps already completed to focus on the steps for which gaps were identified. The photo shows a graphic organizer for sorting. 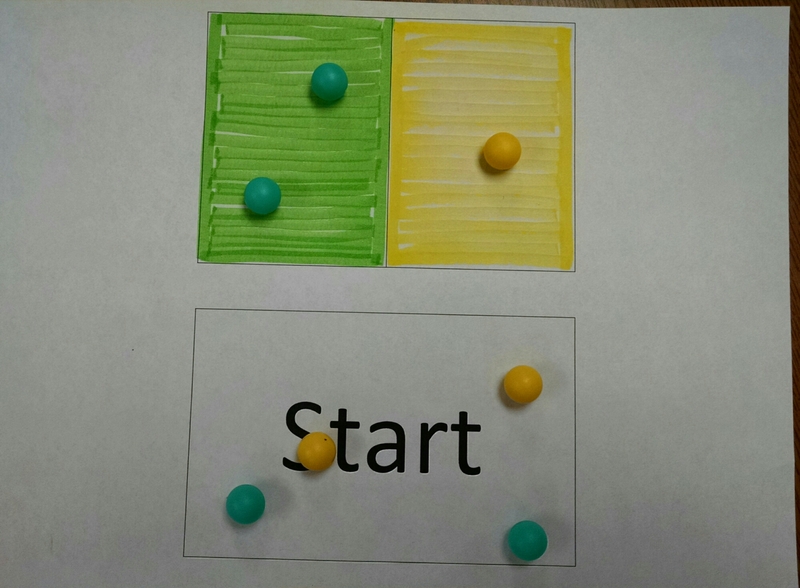 The process of teaching how to sort involves shaping and fading of the graphic organizer. The following files show all the graphic organizers and how they are used from simplest to almost total extinction of graphic organizer. 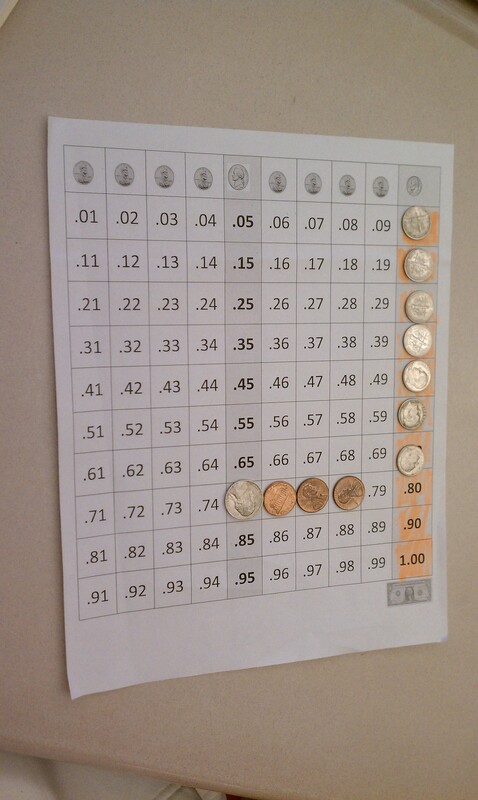 The chart shown in the photo below was created and used by my former co-teacher and I to teach students in a high school life skills program how to count out the total value for coins (dimes, nickels and pennies). Here is how we implemented it. The students are given a pile of coins, set next to this chart. They line up the dimes in the dimes column as shown below. Then the students identify the nickels as the next coin to use. Have the student count off 5 and place the next nickel (on the dimes column) etc. Then follow the same steps to transition to pennies. Have the student identify the total value by looking under the last penny. The idea is to fade the use of the chart and have the student count out the value without the chart. This is more possible if the task demand is incremented with pennies only, then dimes only, the pennies and dimes etc. Here is a link to handouts for those.